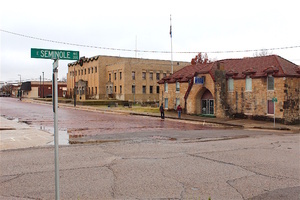 Seminole's American Legion and Municipal buildings both received WPA funding. They were constructed next to each other. 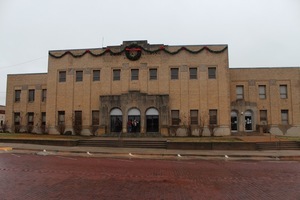 The back side of Oklahoma City's City Hall. 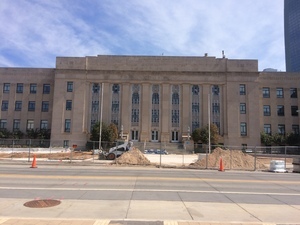 Like the front side of the building, the grounds are being renovated. 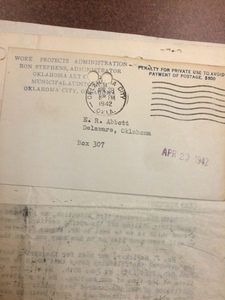 The other side of the plaque that shows the year that the auditorium was erected. 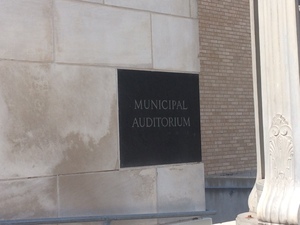 Font side of the original plaque on the auditorium. 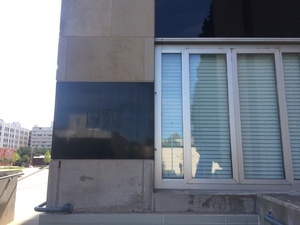 It is located on the northeast corner of the building. 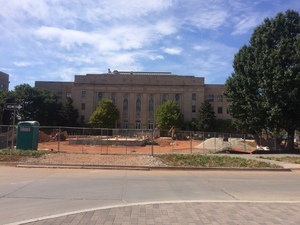 The front of the present day City Hall for Oklahoma City, during construction to the ground around the building. 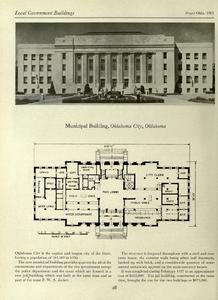 A description of the OKC Municipal Building from a survey of public buildings built with funds from the WPA.